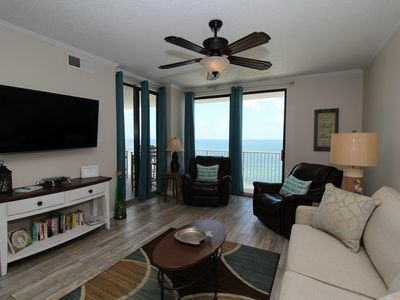 Condo: 2 Bedroom, 2 baths. 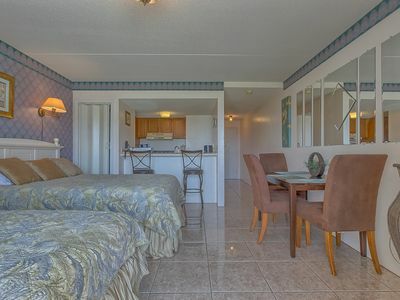 The master Bedroom has King Size bed and an attached master full bath. The guest bedroom also has a King size bed. 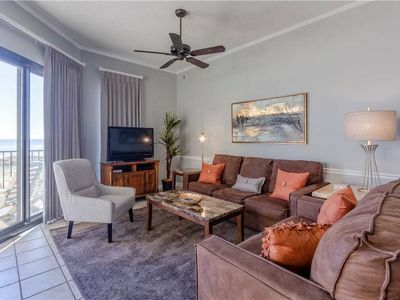 The living room is furnished with 2 pull out Queen Size sleeper sofas. Step out onto the spacious deck and let your cares float away. The view of the Bay is gorgeous! It is a MUST to have your morning coffee on the deck and watch the bay come alive with wildlife. 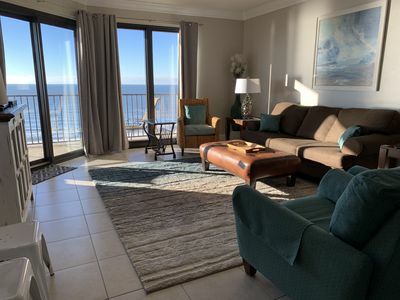 The condo property area includes; pier with first come first serve boat slip, fish cleaning station centrally located on the pier, water front swing, a beach fit for the little ones, the AMAZING pool area is directly across from this condo. The tennis courts are available for all to use. The courts are located next to the pool. 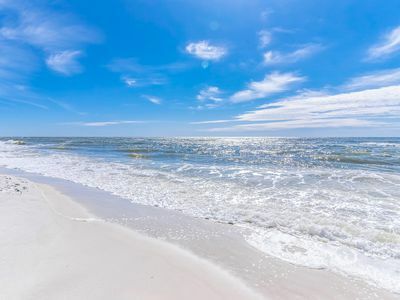 To the Gulf is only 1/4 mile (4blocks) Short walk from Cotton Bayou Beach access. Both the living and the master are equipped with televisions. The living room has a VCR/CDC player attached. The Cable TV is free and Guess what..... So is the WIFI! So if you MUST bring work with you, just connect and there you have it! Just don't forget to enjoy the vacation too!! Parking is underneath in your designated "A" area, and walk up the stairs. 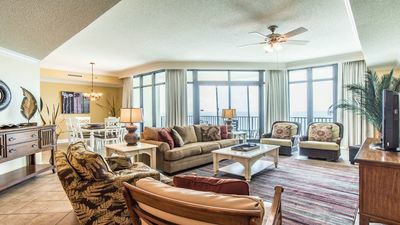 Walk into a warm yet costal decorated condo! 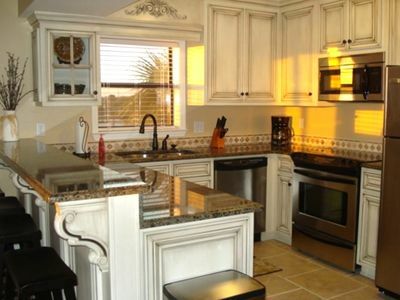 As you walk-in, the dining area is to your immediate right with a fully stocked kitchen right behind it. 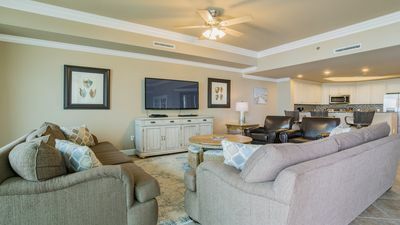 In front is the living area with plenty of comfortable places for your entire group to watch television. 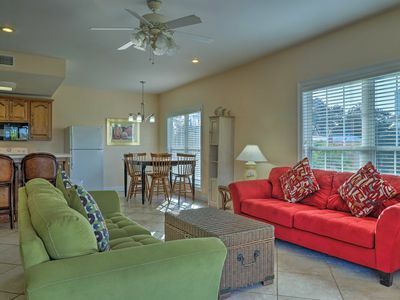 Slide the curtains back and walk out and watch the amazing sunrise and sunsets over Cotton Bayou! 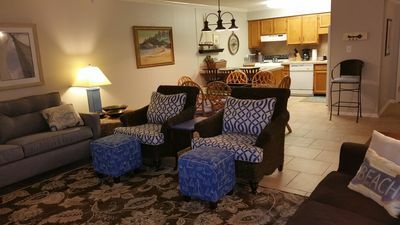 To the right of the living area is a hall with the full-size washer & dryer for your convenience. Down that hall to the left, is the guest bedroom! On the right is the master bedroom has a king-size bed, television, and attached full-size bathroom with a tub/shower combination. The hall bath has a full-size bathroom with a tub/shower combination. 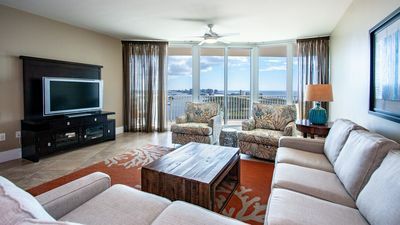 With 3-night minimums year round, you can enjoy the onsite amenities as well. The complex provides free WIFI. 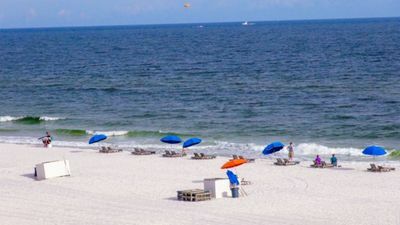 Take a splash in the outdoor pool, keep up with your game on the tennis courts or drop a line at the pier and try to catch a fish or stop by the local bait and Tackle shop and pick up a crab cage and catch your own dinner! If you have a boat, the complex does allow you to park your boat in the slip with proof of liability insurance! 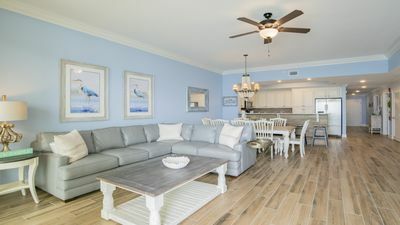 So whether you come 3 nights, a week, a month or even an extended Snow Bird stay, this Cotton Bayou condo will become your Orange Beach vacation choice! 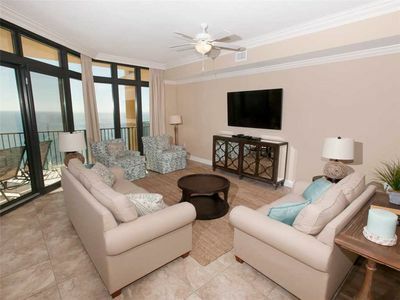 If you love this condo but it isn't available for the dates you have chosen. 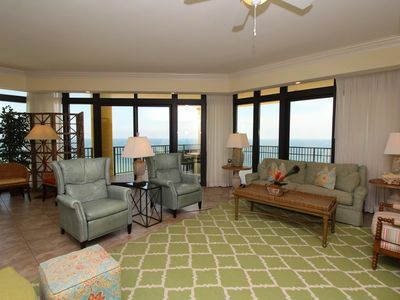 Please take a look at our other condo. It is located in the same complex, same building, just directly beneath Unit C. It has the same view as well. PS: There is Boat Docking Fee of $100.00. This fee is good for one weeks stay. We do not collect this fee. Please see the on-sight Manager in UNIT 5A when you arrive and before you launch your boat. 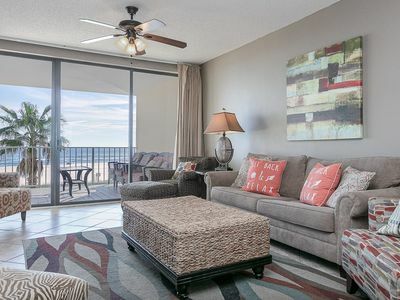 Shoalwater 1102-Beach Front Views from Large Terrace with Luxurious Interior! 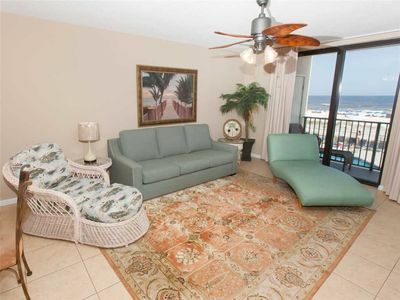 Phoenix West II 1611- Beach Front View, Large Terrace, Lazy River! What a View...Sand, Surf, & Beautiful Sunsets!!! Spring Specials!! Upscale Phoenix West with Lazy River!!! 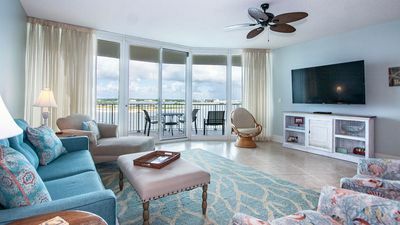 Brand new Turquoise Place rental! 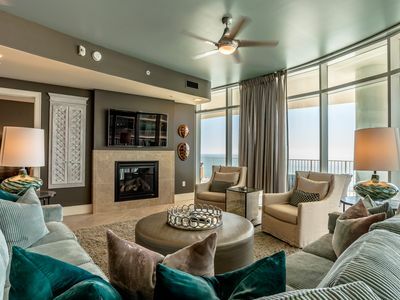 Stunning condo! Gorgeous decor! Pro decor! 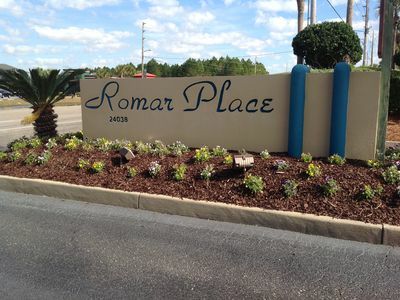 Duplex Home in Orange Beach 2 Mins to Boat Launch! 3rd Floor!! Parking Level! 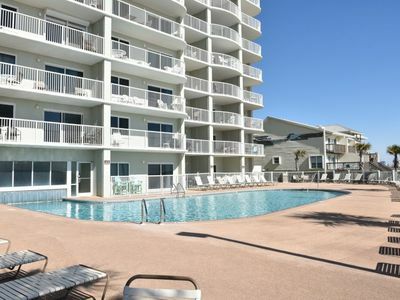 Phoenix West, Great February rates!! LAZY RIVER! Water Slide! Beach Front!! ALL NEW! !